“Can a non-Catholic be given the Eucharist in the Catholic Church?” When asked this question by a Lutheran woman married to a Catholic man during his 2015 visit to a Lutheran Church in Rome, Pope Francis gave a convoluted answer, the gist which was “perhaps yes”, “perhaps no”, “I don’t know”, and “look at your conscience”. This was a personal question highlighting a more general and thorny issue. In times of increased ecumenical friendliness, when reconciliation among Christians is often portrayed as a given, people are asking why that purported unity is stopped by the Catholic Church when it comes to the Eucharist. This is especially true in countries like Germany where many couples are made up of Lutheran and Catholic spouses (and are therefore called “inter-confessional” families), who live together during the week and yet are divided on Sunday. This issue made headlines recently. In a nutshell, this is the background story: on 22 February of this year, the German Bishops’ Conference announced the publication of a pastoral guide on the sharing of the Eucharist by inter-confessional couples, providing some openings for the admission of the Eucharist to non-Catholic partners. The proposed opening was not yet generalized – it would have had to be decided on a case-by-case basis by individual bishops. Controversy arose immediately. In the weeks that followed, seven German bishops addressed the Vatican to seek clarification on an initiative that they believed violated the unity of the Church and undermined standard Catholic doctrine concerning the sacraments. Pope Francis exhorted the German bishops to continue in dialogue and possibly reach a unanimous decision. A unanimous decision was not reached and, therefore, the Congregation for the Doctrine of the Faith (i.e. 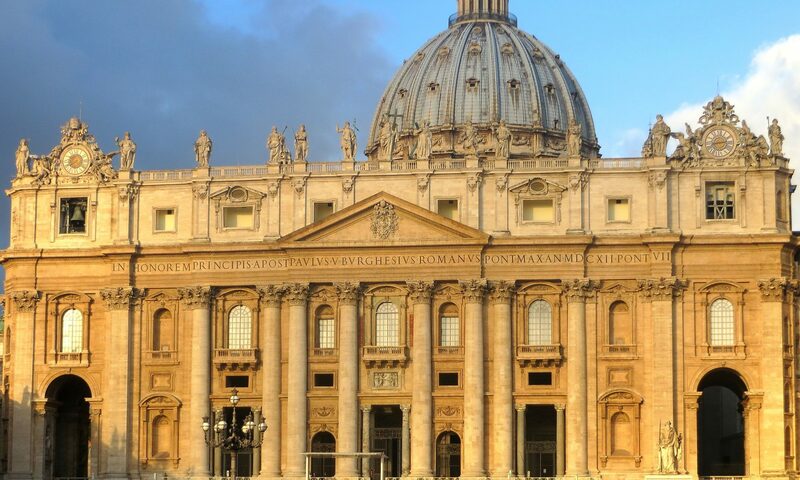 the Vatican office responsible for doctrinal issues) made it clear with a letter endorsed by the Pope himself that the text presented by the Bishops’ Conference raises considerable problems. The resulting decision: “The Holy Father has come to the conclusion that the document is not ripe for publication”. a. The question of admission to communion for evangelical Christians in inter-confessional marriages is an issue that touches on the faith of the Church and has significance for the universal Church. Here are some brief remarks. First, the Vatican reaffirms that, in dealing with the Eucharist, one touches on “the faith of the Church”, one of the main tenets of what Roman Catholicism stands for. Given the fact that the Eucharist is the “source and summit” of the Christian life (Lumen Gentium 11), the pastoral issues raised by inter-confessional couples need to be addressed within the dogmatic framework of Eucharistic doctrine, not at the expense of it, nor even at the relaxing of its parameters. Rome can be very flexible and nuanced (i.e. “catholic”) when it comes to discussing justification, conversion, mission, etc., but the Eucharist is what constitutes the sacramental self-understanding (i.e. Roman) of the Catholic Church and is one of its pillars. 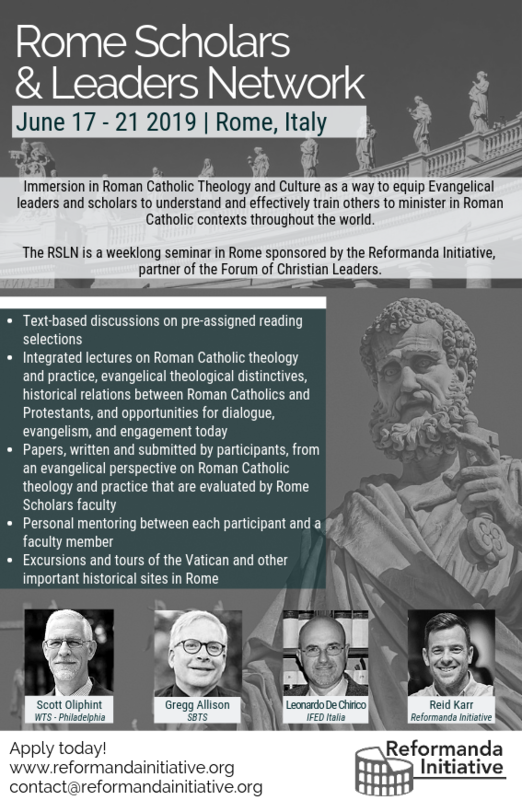 Rome could, therefore, sign the 1999 Joint Declaration on the Doctrine of Justification with the Lutherans without changing its eucharistic doctrine and practices, thus showing flexibility on the one hand and rigidity on the other. In 2016, the Pope could speak words of reconciliation and unity at the joint commemoration of the Protestant Reformation with the Lutherans in Lund (Sweden), but those kind words have no effect on the “real” unity around the Eucharistic table. Francis was very ecumenical then, and now he is very “papal” and “Roman”. Secondly, the Vatican letter also shows concern that the openings envisioned by the German bishops would have an impact on other realities, such as couples formed by, say, Catholic and Methodist, Catholic and Anglican, or Catholic and Baptist spouses, thus paving the way to wide-spread and unwarranted Eucharistic hospitality. This “domino effect” is something that Rome is not prepared to accept if the doctrinal essence of the Catholic Eucharist is imperiled. Again, Rome can be very soft and adaptable in many respects, but the Eucharist is the core of its “Roman” identity and so it is strictly safeguarded. In spite of the fact that Francis is perhaps the most ecumenical Pope that the Catholic Church has ever had, for the time being, no Eucharistic hospitality is on the horizon. And this is not by accident. This decision reflects the nature of Roman Catholicism, which is catholic in attitude only insofar as the Roman structures are maintained and reinforced. 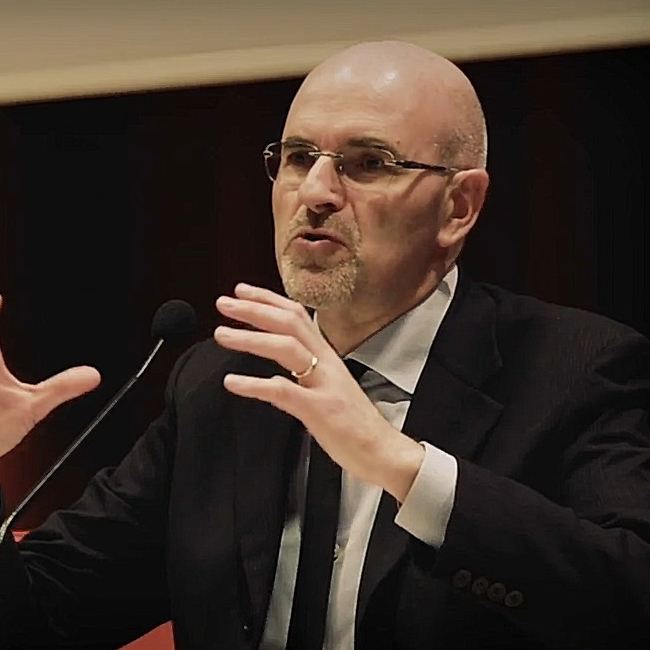 Rather than submission to biblical teaching, it is the dialectic between the “Roman” and the “Catholic” poles that governs the self-understanding and the policies of the Roman Catholic Church. Previous PostPrevious 150. Pope Francis’ Re-Interpretation and Actualization Of Gnosticism and Pelagianism: A Plausible Suggestion?